A hot topic of discussion this year has been the 2018 Farm Bill, more formally, the Agricultural Improvement Act of 2018, and what it means for the burgeoning hemp industry. Attorneys in the space get calls regularly on the issue, with clients asking some form of the question: “Is hemp now fully legal or not?” If you ask multiple attorneys the same question, you will most likely get varied answers. Some have taken the position that the industrial crop is now fully legal if it falls within the definition of hemp, as defined under Section 10113 § 297A of the 2018 Farm Bill. Others have taken the position that although the Farm Bill certainly did open up the market, the plant is still illegal until either the United States Department of Agriculture (“USDA”) or the state Department of Agriculture (with the approval of the USDA) moves forward with implementing laws for the 2018 Farm Bill. Additionally, now that hemp is no longer a controlled substance under the Controlled Substances Act (“CSA”), and some of the products derived from hemp are consumed, the FDA is granted regulatory authority over the production of those products. Further, the removal of hemp from the CSA has now in effect, removed the U.S. Drug Enforcement Administration’s authority over the plant. Further, many state laws currently define marijuana as including hemp, which is an inconsistency that also needs to be addressed. Although the 2018 Farm Bill is a robust piece of legislation, there are several pieces of the puzzle, in the form of additional legislation and regulations, that need to come together for this industry to move forward and reach its full capacity. It is important to also note, this article covers hemp cultivation and processing under the 2018 Farm Bill, as hemp cultivated and processed under the 2014 Farm Bill is legal, but significantly more limited than the 2018 Farm Bill allows for in most states. A hot topic of discussion this year has been the 2018 Farm Bill, more formally, the Agricultural Improvement Act of 2018, and what it means for the burgeoning hemp industry. Attorneys in the space get calls regularly on the issue, with clients asking some form of the question: “Is hemp now fully legal?” If you ask multiple attorneys the same question, you will most likely get varied answers. Some have taken the position that the industrial crop is now fully legal if it falls within the definition of hemp, as defined under Section 10113 § 297A of the 2018 Farm Bill. Others have taken the position that although the Farm Bill certainly did open up the market, the plant is still illegal until either the United States Department of Agriculture (“USDA”) or the state Department of Agriculture (with the approval of the USDA) moves forward with implementing laws for the 2018 Farm Bill. Additionally, now that hemp is no longer a controlled substance under the Controlled Substances Act (“CSA”), and some of the products derived from hemp are consumed, the FDA is granted regulatory authority over the production of those products. Further, the removal of hemp from the CSA has now in effect, removed the U.S. Drug Enforcement Administration’s authority over the plant. Further, many state laws currently define marijuana as including hemp, which is an inconsistency that also needs to be addressed. Although the 2018 Farm Bill is a robust piece of legislation, there are several pieces of the puzzle, in the form of additional legislation and regulations, that need to come together for this industry to move forward and reach its full capacity. It is important to also note, this article covers hemp cultivation and processing under the 2018 Farm Bill, as hemp cultivated and processed under the 2014 Farm Bill is legal, but significantly more limited than the 2018 Farm Bill allows for in most states. [T]he plant Cannabis sativa L. and any part of that plant, including the seeds thereof and all derivatives, extracts, cannabinoids, isomers, acids, salts, and salts of isomers, whether growing or not, with a delta-9 tetrahydrocannabinol concentration of not more than 0.3 percent on a dry weight basis. Agricultural Improvement Act of 2018, Section 10113 § 297A (2018). However, producing hemp that falls within this definition is not enough. The Farm Bill language specifically states that hemp must be produced in compliance with subtitle G of the Farm Bill. To be able to produce hemp in compliance with the Farm Bill, we must first have implementing language from either the US or state Department of Agriculture, with the USDA’s stamp of approval. There are two routes that can be taken for passing implementing legislation. A State or Indian tribe can write its own piece of implementing legislation to regulate the production of hemp within its borders, and submit it to the USDA for approval within 60 days. Agricultural Improvement Act of 2018, Section 10113 § 297B (2018). Alternatively, the USDA will implement laws and regulations under which states that do not pass their own legislation can follow to regulate and monitor the production of hemp within their borders. There are currently no implementing laws or regulations put forth by the either USDA or any state, and as a result, it is currently impossible to be in compliance with the 2018 Farm Bill. The USDA released a statement on February 27, 2019, that stated the USDA will move forward with implementing regulations and hopes to have that framework in place by Fall of 2019. The bad news is it seemed as though the USDA would approve state legislation before the USDA had regulations in place. However, the agency specifically stated it will only accept and approve state legislation after it has implemented its own regulations. Further, the USDA stated the 2014 Farm Bill extension (pilot programs operating under the 2014 Farm Bill) will expire 12 months after the USDA passes implementing regulations for the 2018 Farm Bill. Further, Section 10113 § 297C(a)(1), of the Farm Bill states that if a State or Indian tribe has not passed implementing legislation that has been approved by the USDA, it is unlawful to produce hemp in that state without a license issued by the USDA. This portion of the legislation clearly lays out it is unlawful to produce hemp without either a license from a state that has passed implementing language or the USDA. (a) Rule of Construction.—Nothing in this title or an amendment made by this title prohibits the interstate commerce of hemp (as defined in section 297A of the Agricultural Marketing Act of 1946 (as added by section 10113)) or hemp products. (b) Transportation of Hemp and Hemp Products.—No State or Indian Tribe shall prohibit the transportation or shipment of hemp or hemp products produced in accordance with subtitle G of the Agricultural Marketing Act of 1946 (as added by section 10113) through the State or the territory of the Indian Tribe, as applicable. These two paragraphs could be read to contradict each other, which I believe is the basis for a lot of the confusion on the issue. Paragraph (a) is stating any hemp that falls within the definition of 297A is legal, while paragraph (b) is stating only hemp produced in compliance with a state or USDA plan is legal and can cross state lines. Here, it seems as though Congress made a distinction between the shipment of an already produced hemp product into a state and production of hemp in a state. This may be because Congress recognized that some states may implement Farm Bill legislation before others, as it is essentially a race for the states to pass implementing legislation and be a leader in the industry. As a result, it is possible that a business would be producing hemp or hemp derived products in compliance with the 2018 Farm Bill (under a states implementing legislation approved by the USDA) and want to ship it into a state that does not yet have implementing legislation for the 2018 Farm Bill. Congress contemplated this issue and wanted to prevent a state that did not yet have implementing legislation passed from being able to shut out hemp and hemp derived products produced in compliance with the Farm Bill in another state. Further, the Farm Bill has a section that specifically addresses violations and lays out procedures for reporting violations. Agricultural Improvement Act of 2018, Section 10113 § 297C(c) (2018). As discussed above, the FDA now has regulatory authority over hemp derived products that are consumed. It is pretty ironic that there are more layers of regulation now that the plant is no longer a controlled substance. 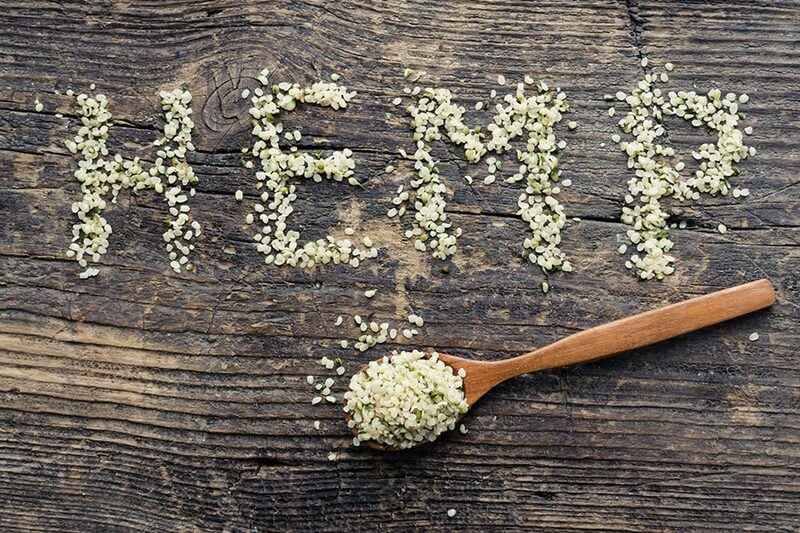 Because some of the hemp derived products are injected, it now falls under the purview of the FDA’s regulatory authority as well as other government agencies. The FDA has released a statement indicating it is currently unlawful to produce hemp-derived substances that are consumed, unless they are approved by the FDA. However, the FDA has indicated it is looking into passing regulations to allow hemp-derived products to be produced in compliance with FDA regulations, but has not yet done so. FDA Statement, Statement from FDA Commissioner Scott Gottlieb, M.D., on signing of the Agriculture Improvement Act and the agency’s regulation of products containing cannabis and cannabis-derived compound, December 20, 2018. Further, the FDA will begin rulemaking workshops for legalizing consumable products derived from hemp in April of 2019. FDA Commissioner, Scott Gottlieb, stated during his testimony at a committee hearing that the agency is considering to regulate products with a high concentration more strictly (like a drug) and low concentration products less strictly (like a food product). He indicated if the agency determines it is too complicated to move forward with regulations, it will then look to Congress to intervene with additional legislation. This adds another piece to the puzzle of legislation and regulations that needs to be passed for the industry to move forward. Further, even if Florida (and other states) did have a law implementing the Farm Bill, there are some inconsistencies that would need to be cleared up first with the current laws. Florida’s laws as they stand today include hemp within the definitions of low-THC cannabis and marijuana. See Section 381.986(1)(e)(f), Fla. Stat. Further, Florida law currently only allows Medical Marijuana Treatment Centers to cultivate, process, and dispense low-THC cannabis and marijuana. Additionally, industrial hemp can currently only be produced by industrial hemp pilot programs. Section 1004.4473(1)(b)(c), Fla. Stat. As a result, we will need to see some changes to the current Florida laws, which adds another piece to the puzzle. In conclusion, the misconception that hemp is now fully legal needs to be de puzzled, for now. This article only addressed the main pieces of the puzzle that need to come together, as there are numerous pieces that need to come together for the industry to move forward. However, the passage of 2018 Farm Bill has certainly opened up the market for more businesses to enter the space and in turn, create more products to ultimately provide more options for consumers, and boost our economy. Until implementing legislation is passed, it is up to each businesses to decide how comfortable they are with operating in a legal grey area. As the stakes are high and the rewards are unlimited in the burgeoning hemp industry, many have already decided to move forward, despite the implications of operating under a legal grey area. Fortunately, in Florida proposed legislation has already been filed to implement the 2018 Farm Bill. It certainly is a race for the states to see which state can be first to pass implementing legislation with the approval of the USDA, as the first states to enter the space will likely be industry leaders. Disclaimer: This article was written for informational purposes only and not for the purpose of providing legal advice. You should contact your attorney to obtain advice with respect to any particular issue. About the Author: Paula Savchenko is an attorney at the Law Offices of Moffa, Sutton, & Donnini, P.A., based in Fort Lauderdale, Florida. Ms. Savchenko practices primarily in the areas of Taxation and Administrative Law, as she counsels and represents businesses and individuals in their dealings with government agencies. More specifically, most of her work involves state and local tax and regulatory matters, including attaining medical marijuana and hemp registrations and licenses. In addition to serving as Co-Chair of the Florida Bar, Administrative Law Section, South Florida Chapter, she is also on the board of the Greater Fort Lauderdale Tax Council, and Co-Education chair of the group Cannabis Law, Accounting, and Business. The USDA released a statement on February 27, 2019, that stated the USDA will move forward with implementing regulations and hopes to have that framework in place by Fall of 2019. The bad news is it seemed as though the USDA would approve state legislation before the USDA had regulations in place. However, the agency specifically stated it will only accept and approve state legislation after it has implemented its own regulations. Further, the USDA stated the 2014 Farm Bill extension (pilot programs operating under the 2014 Farm Bill) will expire 12 months after the USDA passes implementing regulations for the 2018 Farm Bill. A Farm Bill listening session will be held on March 13, 2019. Even if Florida (and other states) did have a law implementing the Farm Bill, there are some inconsistencies that would need to be cleared up first with the current laws. Florida’s laws as they stand today include hemp within the definitions of low-THC cannabis and marijuana. See Section 381.986(1)(e)(f), Fla. Stat. Further, Florida law currently only allows Medical Marijuana Treatment Centers to cultivate, process, and dispense low-THC cannabis and marijuana. Additionally, industrial hemp can currently only be produced by industrial hemp pilot programs. Section 1004.4473(1)(b)(c), Fla. Stat. As a result, we will need to see some changes to the current Florida laws, which adds another piece to the puzzle. The misconception that hemp is now fully legal needs to be de-puzzled, for now. This article only addressed the main pieces of the puzzle that need to come together, as there are numerous pieces that need to come together for the industry to move forward. However, the passage of 2018 Farm Bill has certainly opened up the market for more businesses to enter the space and in turn, create more products to ultimately provide more options for consumers, and boost our economy. Until implementing legislation is passed, it is up to each businesses to decide how comfortable they are with operating in a legal grey area. As the stakes are high and the rewards are unlimited in the burgeoning hemp industry, many have already decided to move forward, despite the implications of operating under a legal grey area. Fortunately, in Florida proposed legislation has already been filed to implement the 2018 Farm Bill. It certainly is a race for the states to see which state can be first to pass implementing legislation with the approval of the USDA, as the first states to enter the space will likely be industry leaders.